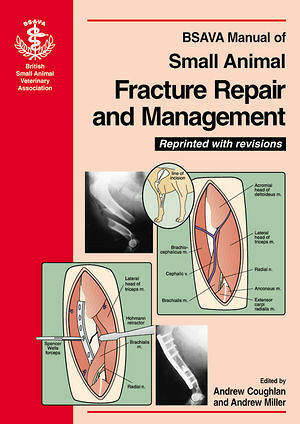 Trauma management is an everyday necessity in small animal practice, and the correct approach to managing fractures is vital for both short-and long-term success. This manual describes the theory and key concepts of fracture fixation and healing and deals with orthopaedic surgical principles and instrumentation and approaches to different types of fracture. The manual also gives a completely new practical guide to surgery for each situation. Specially commissioned full-colour illustrations show operative techniques step by step, and charts give full information on preparation, positioning, instrumentation and procedures. Specific fractures are dealt with by region, with the emphasis on decision making and practical advice. The final part of the book covers the treatment and prevention of complications.